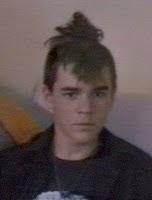 Ahhh ... 1984 was an awesome year. Okay, maybe not as great as 1982, but still a very awesome year. Today a friend slapped an image of Falkor the luckdragon on my Facebook page. For those of you too young or old to remember -- Falkor was the dog-like creature from the 1984 classic children's movie, The NeverEnding Story. The film is based on a German epic fantasy tale. Sadly, the only thing I can remember about seeing it back in July of 1984, are the two main characters, Bastian (Barret Oliver) and Atreyu (Noah Hathaway). Why? Because they were smokin' hot to an 11-year-old me. 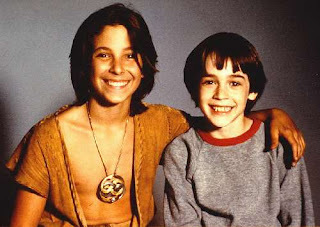 That summer, I was all about these two cuties and Ralph Macchio from Karate Kid, of course. I think it was somewhat comforting knowing Barret and Noah were closer to my own age, though Ralph ruled the walls of my bedroom. Put it this way .. if a Tiger Beat pin-up featured Ralph Macchio on one-side and Noah Hathaway on the other, I'm quite sure Macchio would win. Today Barret Oliver (D.A.R.Y.L. and Cocoon) teaches photography in LA and wrote a book, A History of Woodburytype, about a special 19th Century photo mechanical process or something. Unfortunately, I'm unable to Google image a recent photo of him other than from the late 1980s. 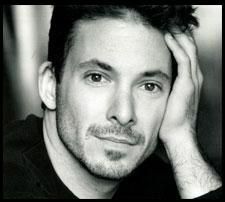 Noah Hathaway (Battlestar Galactica) still acts and has done several indie films. Here's what he looks like today. For a while, I was convinced he was actually Noah Wyle from ER. I figured maybe he changed his name. I was wrong, of course, though they are about the same age and do look a bit alike. Anyone else remember The NeverEnding Story? I remember that movie like it was yesterday. I've watched that one many times with the kids and grandkids. Still love it! OMG, I adored this movie and I agree with you, Ally, they were hot. Atreyu trying to save his horse, Artax, still gets me all weepy. I loved this movie and still watch it if I catch it on TV. It was soooooooo good! That movie was the bomb when I was a kid. That is one of my most favorite movies! I really have to get it for my kids. I know they will love it just as much as I did (and still do!). Remember it?! It's one of my favorite movies of all time! I remember the movie D.A.R.Y.L. and loved it. I don't know "The Never Ending Story". D.A.R.Y.L. was also a good one. I have the dvd, but I had't watched it in awhile. "Robot Chicken" on Adult Swim (Cartoon Network) did a send up of it, got me thinking about the film again. I have always loved Neverending Story, especially the music (Giorgio Moroder did alot of the soundtrack, as well as the themesong w/ vocals by Limahl, of Kajagoogoo). Watched it today on HDNet Movies---it brings out the kid in me! Thanks for posting this blog!